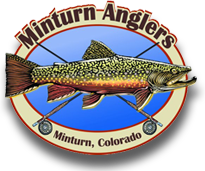 Fly Fishing Denver, Vail & Beyond! Ryan “Rudy” Hemkens & My New Crew Saying Hello! N. Platte Now-June 15th: Mention Rudy’s Return Client Special! This Spring, I will be back behind the oars on the N. Platte (Reef, Mile & Fremont) & running my Walleye boat all over this state! Give the Denver fly shop a shout & mention the “Rudy Return Client Special” which will save you $75 bucks on a trip in WY with me this spring! June-October: Come Check out the Vail Valley! I’ll be back in and around Alcova this fall chasing browns on the Miracle Mile and some other lesser known brown trout trout haunts I have. Definitely get in on this if you haven’t tried it! Check out this Video on a trip we offer where you can fly from Vail to WY, fish for a day & be back before dinner! I am very excited about being back in Central Wyoming for the next two months and exploring new opportunities & water through the summer. I look forward to sharing everything I have learned about these amazing trout fisheries with you!